Why Use Practice Exams to Prepare for the RCM Theory Exams? A Study at Standford University proves it - when a student prepares for their Examination and they use practice exams as a study tool, they do better! It really frustrates me when I hear of teachers that don't use practice exams with their students before they complete their Nationally Recognized Theory Examination. To me, it would be like taking your SATs without ever having written a practice SAT exam. You might have a good idea of the material that is going to be covered on the SATs, but not knowing what the exam will look like can make a big difference in your final mark. Valerie Wiebe MYC UMTC, an awesome piano and theory teacher in Manitoba, is one of our first THREE TIME 100% Club Teachers. 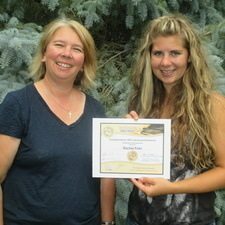 Her student Rachel received 100% on her Basic Exam, her Intermediate Exam and her Advanced Exam. Valerie writes: "I LOVE practice exams. My student Rachel did a lot of practice exams for all 3 exams. They are perfect for getting a good feel for what an exam is like. I had her do some with the time limit, which helped her to realize that she couldn't spend too much time on any one area. 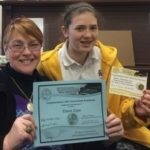 It also helped her to get through the exam in a reasonable amount of time so that she had time at the end to go over everything one more time. That's often the time you catch those little mistakes that you didn't notice the first time around. I would highly encourage ALL students to do practice exams. You know a lot better what to expect at the actual exam. It also helps you gain confidence and know that you can do it!" My students absolutely love the Review Tests at the end of each Lesson in their Ultimate Music Theory Workbooks. I hear again and again how nice it is to not have to worry about forgetting concepts. I remind my students that the "Review Test" contains that word "Review" which means that if they have any questions on a concept, they need to find the chapter and "review" it before answering the question. When we use practice exams, we get to see concepts in that exam page setting - which is different from the "review" page setting. Students don't have the workbook attached to the exam so they can't sneak a peak back a few chapters to remind themselves of the concept. When we use practice exams, we build confidence in ourselves and in our abilities before we have to do the "real" exam. Each Exam Book Set contains 4 practice exams including UMT Tips to help students score 100! By completing both Exam Book Set #1 and Exam Book Set #2, the student will have completed 8 practice exams! Average Marks of my students on their Practice Exams usually start in the low 90s for Exam #1 and then are in the high 90s or 100% by Exams #5-8. So their self-confidence level is super high when they go into the exam room. I am the Royal Conservatory of Music Representative for my town. One of my many responsibilities is to "Proctor" (monitor the students) during their Theory Examinations. I've seen first hand what students experience inside the Examination Room. I consider being the RCM Rep a privilege and I try my best to ensure that each and every child is not frightened of the "exam room experience". But once that Exam Clock starts, each student is on their own. I've seen everything from tears of terror to fist-pumps of excitement when that exam envelope is opened. As far as I'm concerned, there is no such thing as being too prepared for your Theory Examination! Students need to be prepared for what they are going to see when they open their examination package. There is a difference between the wording and the "look" of exercises in a Theory Workbook and what the student will see on their examination. Students who did not use Practice Exams to prepare for their Examination are definitely at a disadvantage. When I wrote the Ultimate Music Theory Exam Series, I used every actual RCM Theory Exam from the past DECADE as my references. I ensured that if an examination question was presented in a specific way on an actual examination, there is a UMT Exam that presents the question the same way somewhere in the Exam Series. Why was I so meticulous in making sure that all possible angles that could be on an Exam were in the UMT Exam Series? Simple - I want every student to have that "fist-pump" of excitement experience. When they open their exam envelope, all the questions will seem familiar. There will be no "panic" moments since they will have experienced answering every type of question possible. "I knew what to expect on the real exam. When I opened my exam envelope and looked at the questions on the exam, they were like almost the same as what I had already done in my practice exams. So, it was easier and I ended up getting into the 100% Club! 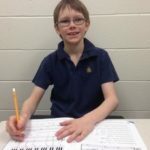 You can also read Braeden's blog on a 10 Year Old Kid's Perspective to the Preparatory Rudiments Exam! 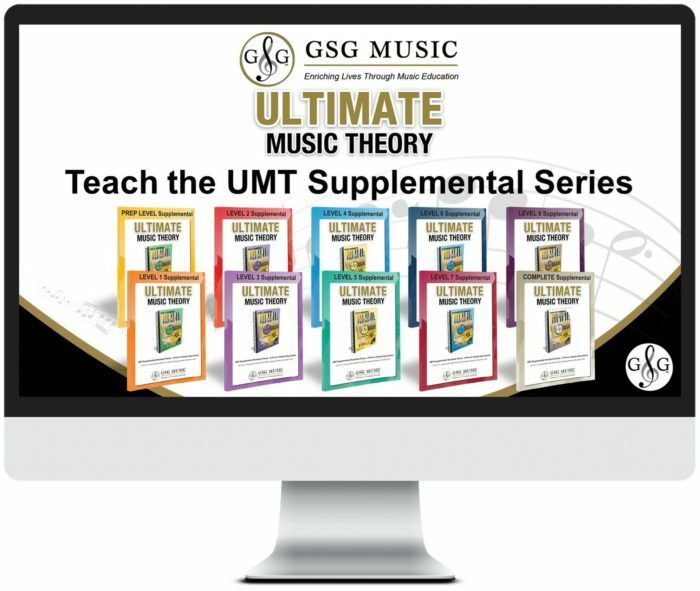 Braeden is currently working through the Ultimate Music Theory Basic Workbook. Why Use Practice Exams - They Work! When you use Practice Exams with your students, they work. Your student will enter their exam with confidence and with the knowledge that they are going to be able to say "That Was Easy" when they finish. You can even buy the Exams and Answer Pack for a discounted price and receive one of every Exam Series Books and one of each matching Answer Books. Deal! If you don't want to complete the Exam Series Books yourself, then sell them to your Students and you have your Answer Books for marking! Join the conversation - I would love to hear your testimonials about how the Exam Series has worked for you!